Who killed spawned Canadian citizenship? Like Gillian Frank and Jamie Duong, who challenged the Elections Act rule limiting the external voting rights of Canadian expats to five years living abroad, I too am an emigrant. 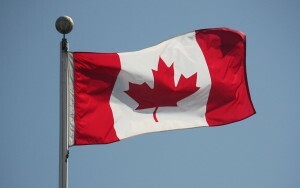 I moved to Canada from Portugal over ten years ago through spousal sponsorship. 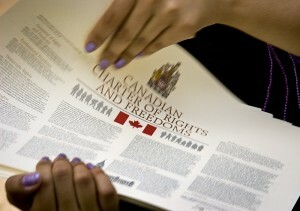 I became a Canadian citizen as soon as I was eligible, mostly because I wanted to be able to vote. I am also a citizen of Portugal, a country that has long encouraged dual citizenship, provided various kinds of aid to its emigrants, and used its diaspora to generate international exchanges with various host countries – something that Canadian governments, businesses, and cultural institutions have welcomed. Like Frank and Duong, I keep well informed about political debates and current events in my home country, which I visit often and may return to one day. I also intend to vote in my homeland’s upcoming national elections. But unlike Canadian expats, I will be able to vote for my own member of parliament in Lisbon representing my “Outside of Europe” riding. Everyone who knows me knows that I follow Canadian politics avidly and like to express my views on it – case in point. Even before coming to Canada, I educated myself about this country’s history and political system, and can safely say that I know more about these than most Canadians. I have also contributed to disseminating historical knowledge among Canadians and helped preserve their collective memory, to which I have dedicated an unhealthy amount of volunteer hours. Finally, I will soon be the father of a Canadian-born child, to whom I will be sure to bequeath my Portuguese citizenship. In the eyes of some leading historians and public intellectuals, this makes me an uncommitted, compromised, and even ungrateful Canadian. How come? Among the Anglophone liberal-conservative intelligentsia, Andrew Cohen and Rudyard Griffiths have led the charge against the transnational belongings of dual citizens and long-term emigrants, and Canada’s postmodern embrace of hybrid national identities and fragmented allegiances. 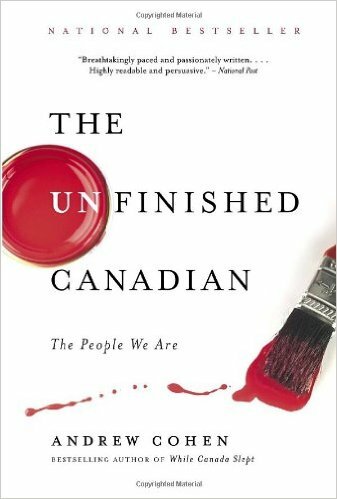 In The Unfinished Canadian (2007),[i] journalist and historian Cohen argues that citizenship is ultimately about “nation-building.” In his view, Canada’s commitment to diversity displaces its “centre of gravity” and “fragile sense of place”. He cites the cosmopolitan novelist Yann Martel’s description of Canada as “the greatest hotel on earth” to denounce the lack of “loyalty” of a supposedly high number of “new Canadians” who return to their countries of origin later in life. Cohen invokes those 14,370 Canadians evacuated from Lebanon in 2006, particularly those who have since returned to the latter, to illustrate his claim that “casual Canadians” treat their citizenship as a right instead of a privilege that ought to be earned. He extends this criticism to prominent Canadian politicians (hardly the civic slackers) who hold dual nationality, like former Governor-General Michaëlle Jean (a Haitian refugee) or Liberal leader Stéphane Dion. Cohen’s book captured (and perhaps informed) the parochial views on Canadian nationality favoured by the Ministry of Citizenship and Immigration under Prime Minister Stephen Harper, discussed in part one of this series. Griffiths’ myth-busting is itself grounded on conservative myths about a so-called “golden age” of Canadian history, when the country was a British Dominion engaged in nation-building, led by visionary (white) men, heroes, whose chief goal was “the establishment of… an egalitarian, democratic, economically ambitious and less sectarian society.” Consequently, he condemned Harper’s official recognition of the Québécois as a distinct nation. Griffiths believes that “Canada was founded and evolved as a nation of citizens…not a collection of communities,” and that “[w]e are a people who have long operated according to a series of hard-won principles and beliefs about the purpose of our society.” Such nostalgia denotes his ignorance or disregard of Canada’s violent colonialist past, and the myriad points of view and contributions of Indigenous peoples, women, Francophones, migrants, ethnics, workers, and other marginalized stakeholders – “grievance-ridden minorities” according to him. Plus, he would have a hard time finding supporters for his non-sectarian “nation of citizens” ideal among nineteenth century Canadian politicians. These musings would be less problematic if Griffiths, like Cohen, did not enjoy widespread praise and receptive public outlets, and did not contend that the generalized lack of historical knowledge among Canadians is one of the main reasons why so many are not politically engaged. Ironically, Conservatives have traditionally benefited the most from low voter turnouts. The promotion of Canadian history and civics education has been a cause dear to Griffiths and Cohen, who have advanced their nation-building visions in mainstream media and public schools through non-profit organizations. In 1997, Griffiths and a group of young conservatives founded the Dominion Institute, funded by the American right-wing William H. Donner Foundation – a “paymaster” to Canada’s conservative causes. He stepped down as the institute’s executive director in 2008 before it merged with the more liberal Historica Foundation of Canada the following year. [iii] Historica was founded in 1999 by the billionaire philanthropist Charles Bronfman, a proud Canadian of Jewish background who became a dual citizen in 2012 after obtaining American nationality. As Bronfman explained to a reporter, the reason why he took up American citizenship was because he spent most of his time in the United States, and was tired of not being able to vote there. This, however, did not muddle his national identity, as he told the reporter, “tapping his fingers to his heart: ‘I’m a Canadian’.” Cohen led the merger that resulted in the Historica-Dominion Institute (Historica Canada since 2013), which he presided over in 2009-10. While privileging military and political history, this organization also offers programs on immigration and Aboriginal history. Historians of all stripes agree, for a variety of reasons, that Canadians should learn about their pasts, including, but not limited to, the history of their national institutions, statesmen and political ideas. Their disagreement lies on which experiences and contributions get to be included in the “Canadian” story and who gets to tell it, which has implications on who gets to enjoy full membership in its national citizenship. Granatstein is right when he argues that questions over dual citizenship and external voting “are not simply technical matters” and “go to the heart of national identity.” Indeed, Canada’s self-understanding as a “nation of immigrants” has prevented it from coming to terms with the fact that it has, too, a long history of transnational emigration; especially to the United States, where over one million Canadians currently live. Since Bruno Ramirez first foray into the history of Canada–U.S. border crossings, published in 1998 and 2001, few historians have studied Canadian emigration. [ix] A major deterrent for this has been the lack of exit data available on the international movements of Canadians. As a result, policymakers have made important decisions affecting the lives of its mobile citizens based on incomplete or plainly wrong information, often in response to perceived crisis. I will explore that topic in the final installment of this three-part series. [i] Andrew Cohen, The Unfinished Canadian: The People We Are (Toronto: McClelland & Stewart, 2007). [ii] Rudyard Griffiths, Who We Are: A Citizen’s Manifesto (Vancouver: Douglas & McIntyre, 2009). 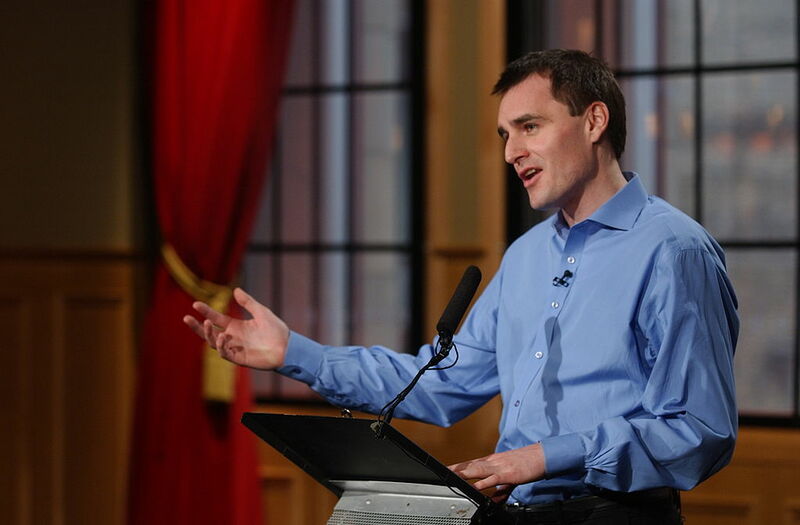 [iii] Griffiths has continued his career as a public intellectual in various capacities, including as a regular discussant in the CBC’s The Exchange with Amanda Lang, and as moderator and organizer of the Munk Debates – including the electoral debate on foreign policy currently being negotiated by the leading political parties. [iv] Jack Granatstein, Who Killed Canadian History? (Toronto: Harper Collins, 1998). [v] Carl Berger, The Writing of Canadian History. Aspects of English-Canadian Historical Writing since 1900 (Toronto: University of Toronto Press, 1986), 260, cit. in Roberto Perin, “National Histories and Ethnic History in Canada,” Cahiers de Recherche Sociologique, 20, 1993, 114-115. [vi] Christopher G. Anderson, “Review Essay: Immigration, Immigrants, and the Rights of Canadian Citizens in Historical Perspective,” International Journal of Canadian Studies, 43, 2011. [vii] Griffiths, Who We Are, 96. [ix] Bruno Ramirez, On the Move. French Canadians and Italian Immigrants in the North American Economy, 1860-1914 (Oxford: Oxford University Press, 1998); Crossing the 49th Parallel: Migration from Canada to the United States, 1900-1930 (Ithaka: Cornell University Press, 2001). A recent contribution to the study of Canadian emigration is Ben Bryce and Alexander Freund ed., Entangling Migration History. Borderlands and Transnationalism in the United States and Canada (Gainesville: University Press of Florida, 2015).